The P10050 comes in six different colors that is a marvel of design with rounded shape and compact. 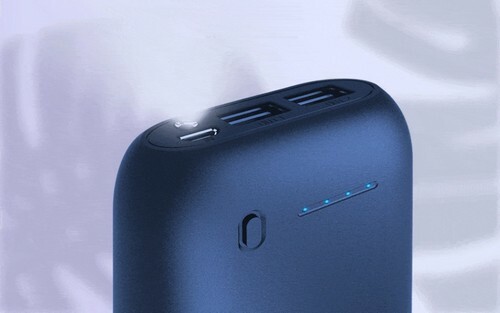 Inside is a 10050mAh power source with two USB ports totaling 2.4A for fast simultaneous top-up of mobile devices. 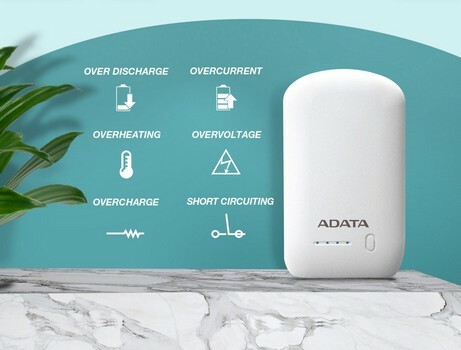 Synced charge/discharge makes this a very fast power bank that saves you precious time and improves overall safety and efficiency. 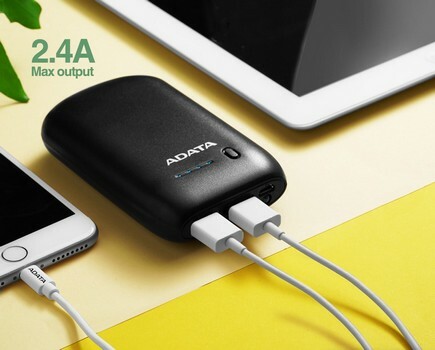 Don't be fooled by the P10050's compact size, it holds enough power to charge a tablet computer all the way to 100% in one go, and can charge a smartphone four times over! Never again worry about running out of power while you're out! 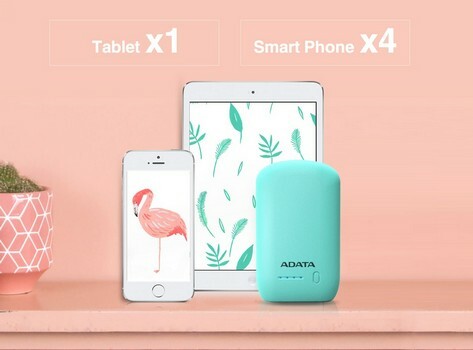 Have you ever had to make the difficult choice of charging your tablet or your phone first? Never fear! The P10050 is equipped with two 2.4A USB output ports, which means you can charge both of your mobile devices at the same time. The P10050 can also light up your life! With its built-in LED and toggle switch on the side of the device, the P10050 serves as a convenient and user-friendly flashlight. What do you do if your hotel room doesn't have enough outlets, but you want to charge two devices? The P10050 can be charged while also charging other terminal devices! 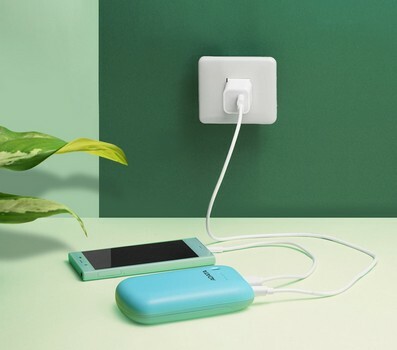 Simply plug the P10050 into the wall outlet, then plug your phone and tablet into the P10050's USB ports. The P10050 uses high-quality batteries and circuit designs to ensure that the device is never over-charged or over-discharged. This helps prevent damage to the device and extends its useful lifespan. Furthermore, the P10050 boasts first-rate parts and a fireproof casing, which helps it resist damage from impacts and heat. Safety is always the paramount concern for electronic devices, and the P10050 is no exception. 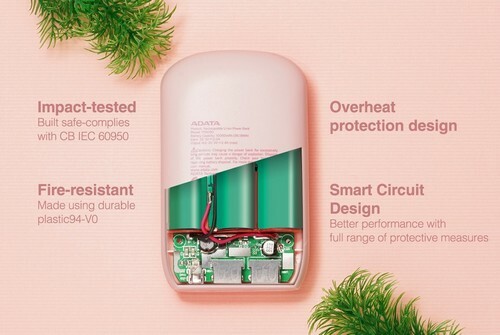 Safe operations are guaranteed thanks to the device's protective measures against over-charge, over-discharge, over-heating, short-circuit, and over-voltage in input and output.